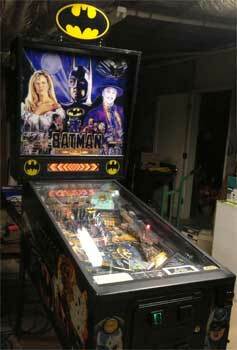 Check out these Batman Data East Pinball Machines for sale. You will also find parts and accessories for current owners including the rubber ring kits, decals, manuals, translites, flyers, shooter rod, LED kit, tune-up kit, and plastics. Michael Keaton is still the best Batman! !